A darling vacation home with 4 bedrooms, 2 baths and accommodations for up to 8 people and one well mannered pet. 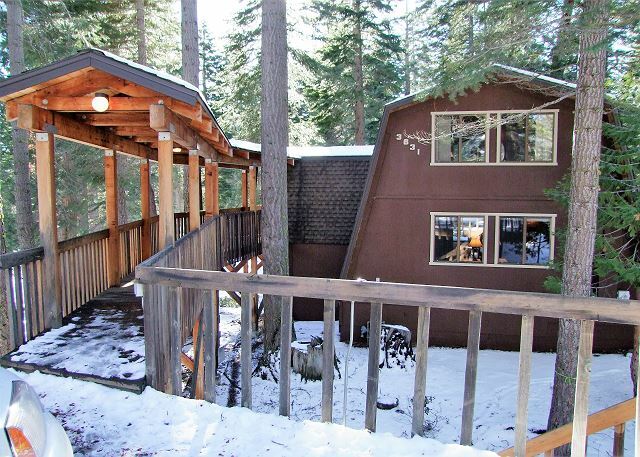 This lovely West Lake Tahoe vacation rental has 3 bedrooms, 2 1/2 bathrooms with a one car garage. This cozy and comfortable Dollar Point home has filtered lakeviews and is within walking distance to the pool and beach. 4 Bedrooms and 2 baths sleeps 7. 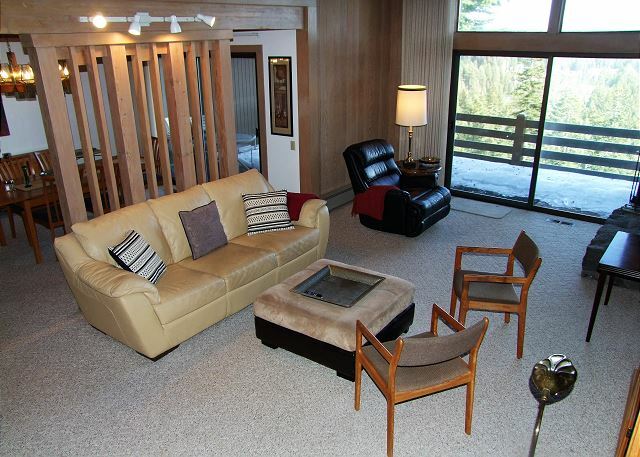 Beautifully remodeled from top to bottom, perfect for 2 small families or 2 couples. Nicely furnished & equipped. 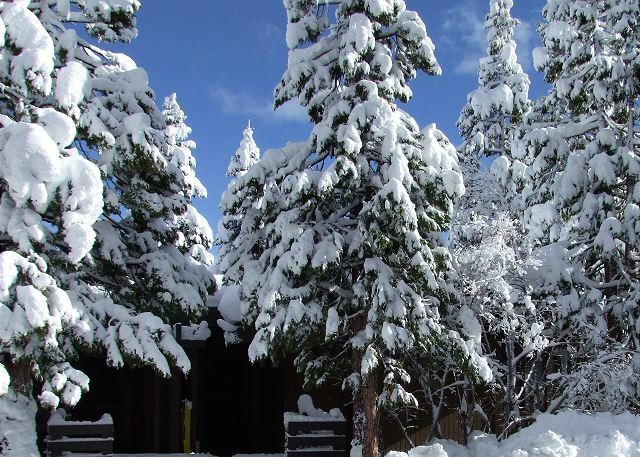 There are three bedrooms and 1½ bathrooms in this north shore cabin. 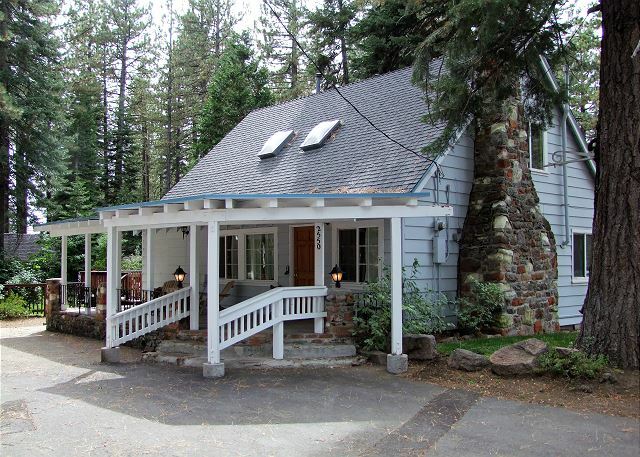 Lodging at this 'Old Tahoe' charmer includes large and comfortable kitchen, dining and living rooms with huge rock fireplace. Pet Friendly popular mountain design home backing to forest. 3 Bedroom plus loft, 2 baths and sleeps up to 8 adults. This simple home has 4 bedrooms and 3 baths it will accomodate a large group - up to 12. There is a large deck and the home is within walking distance to pool, tennis and beach. 3BR/2BA sunny home. 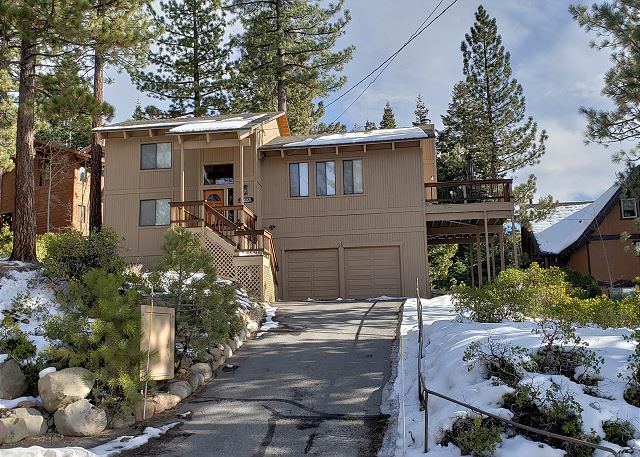 2 car garage, very tastefully decorated, peek of the lake and mountain views, located on a quiet cul-de-sac. Comfortable Mountian Top Condo. Cathedral ceilings and a wall of glass reveal gorgeous lake views. Enjoy 3 comfortable bedrooms, 2.5 baths and a large, livable deck." 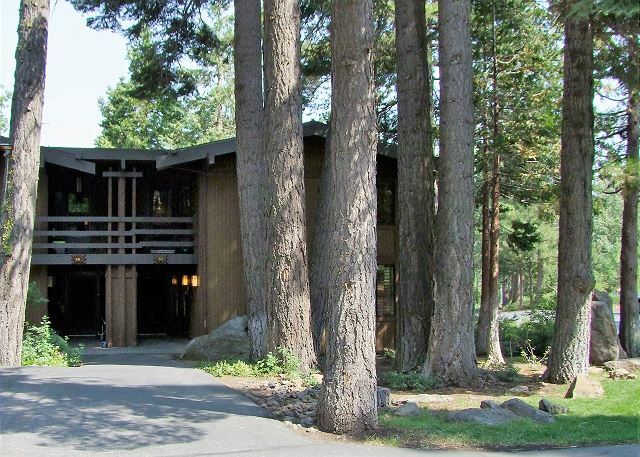 Nestled on 56 acres overlooking all of sparkling Lake Tahoe. Your own white sand beach, pier, buoys, tennis courts and much more! This lakeview townhome has been beautifully remodeled and is tastefully decorated. It has 3 bedrooms, 2 baths and a lovely view. This is a large condo (2150 SF) with 3 bedrooms + den, living/dining & fireplace area, family room off the kitchen, 2.5 baths. And pet friendly!